I’m in Tel Aviv, Israel after several days in Haifa as our “City to City” team completes its investigation of this country’s experience with start ups and innovation. Israel leads the world in percent of GDP spending on civilian R&D and in the number of engineers, scientists, & PhDs per capita. It also has more companies listed on NASDAQ than any country other than the US. The universities play a critical role and one we should emulate. The first is obvious – they emphasize science and math in K-12 and produce more engineers and scientists! I am a big fan of liberal arts education, but in this digital world, the new industries require more PhDs in these areas. Second, their universities drive innovation and technology transfer to the private sector. 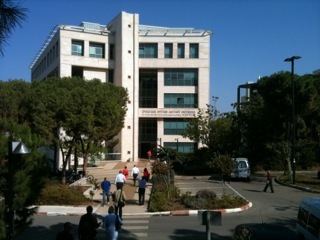 We met with the president of Technion (Israel’s MIT), the president of Haifa University, and local entrepreneurs. The schools encourage the creation of start ups, and have structured a support system that is coordinated with a national initiative that reviews and funds new ideas. We have more schools per capita than any other state. We need to follow Israel’s lead and ensure these types of partnerships exist at many other schools besides just MIT. Connecting our colleges and universities with an economic development strategy will secure our position as an innovative leader now and in the future. This entry was posted in Economic Development, Education by Tamara Small. Bookmark the permalink.